The Dekko Foundation announces a funding plan has been established to help move forward the community learning center in Kendallville, a collaborative project to provide educational opportunities to residents of all ages. 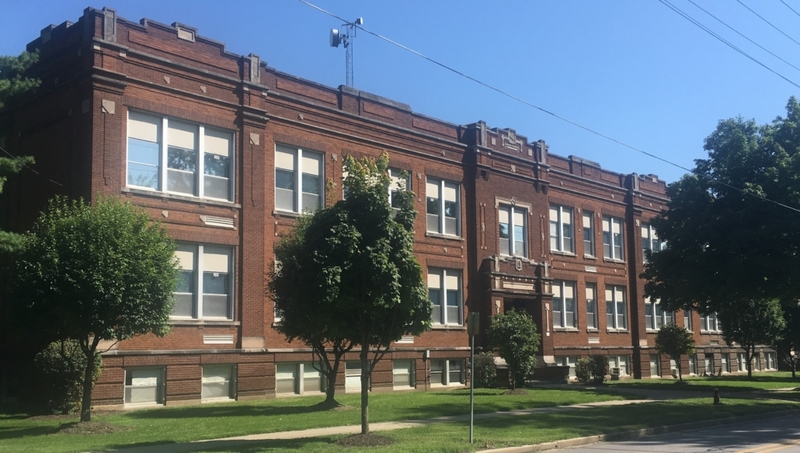 The foundation, which promotes economic freedom through education, is among a group of local organizations that for the past several months have been working to turn the former East Noble Middle School building into a community center where young people and adults can improve their self-sufficiency and skills. The center will feature an array of programming designed to meet community members’ needs and spark their own potential through education, skill development, entrepreneurism, artistic expression, wellness offerings, and more. The future community learning center in Kendallville. The center and its programs align with the Dekko Foundation board’s desire to invest in programs that build skills, knowledge, and character in young people from birth through 18 that put them on the path to achieving economic freedom as adults. The board believes economic freedom occurs when individuals create value through goods and services that benefit others, which creates economic value for themselves. Economic value leads to choices, and those choices lead to chances. The more chances individuals enjoy, the more likely they are to fulfill life’s moral mandate of becoming materially self-sufficient. That, in turn, fosters self-esteem and self-worth in individuals, and facilitates their ability to create charitable choices for others. The foundation’s board has authorized the establishment of an endowment fund at the Community Foundation of Noble County. The fund contains $1 million that will be used to offset a portion of the community learning center’s operating costs or to demolish the building if the project ultimately proves to be unsuccessful. The board has approved an agreement with the City of Kendallville, which will own the former middle school until it can be transferred to a new nonprofit organization, The Community Learning Center, Inc. Through this agreement, the foundation will provide for the maintenance and upkeep of the building, and cover utility and insurance costs associated with the building until the community learning center becomes operational. No city funds will be used to support the community learning center. Representatives from more than a dozen Noble County organizations have for the past several months been meeting regularly to devise programs for the community learning center, determine its governing structure, and create a financial model for the center’s sustainability. Programs at the center will fall within the areas of education and skill development, creativity and expression, and health and wellness. The Dekko Foundation’s board supports the community learning center because of its potential to carry on the legacy of Mr. Chester E. Dekko, who started the foundation in 1981. Mr. Dekko was an entrepreneur and businessman, as well as a generous philanthropist who believed in helping the communities who helped his business become successful. He credited his success to his education and his lifelong love of learning. The community learning center can help ignite that same lifelong love in others, inspiring them to increase their knowledge and skills and their ability to be self-sufficient and economically free.